We’ve always tried to stress that smoking doesn’t necessarily have to involve the entire item but rather you can simply smoke one component. That’s just what we are doing with our latest smoked cocktail. 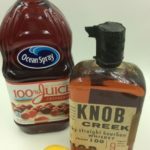 We are making a cranberry bourbon cocktail that contains a smoked simple syrup to give this extra flavor and balance. 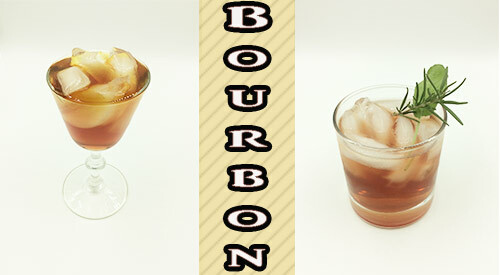 Pick out your favorite brand of bourbon and let’s make this super easy, yet super flavorful smoked cocktail featuring bourbon and cranberry. Before the simple syrup can be infused with smoke vapor, we need to construct the syrup. In a medium saucepan, combine 1 cup of sugar and 1 cup of water. Add a couple of sprigs of fresh rosemary and fresh sage to the pan. Bring the mixture to a boil, stirring until the sugar is completely dissolved. Strain the herbs from the finished syrup and allow to cool before smoking. With the fresh herb infused simple syrup cooled, it’s time to infuse another layer of flavor using a cold smoke technique. I’ve added a pinch of Piccolo® wood chips to the bowl of The Smoking Gun™ by Breville. Using a large plastic bag, I insert my measuring cup of the simple syrup into the bag as well as the hose to the smoking unit. 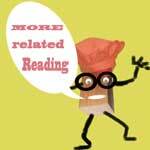 I turn on the unit and light the wood chips which begins the smoke generation. 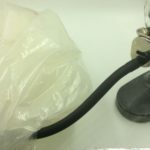 After filling the bag with smoke, I turn the unit off and remove the hose, while quickly cinching the bag closed. I prefer to leave the smoke in the bag until it has naturally dissipated. I do move the simple syrup around to allow the smoke vapor to penetrate completely thru the syrup. Tasting Notes: You can control the level of smoke infusion in two ways – your choice of the hardwood chips for the actual flavor infusion and the amount of time you leave the syrup exposed to the smoke. With our herb infused simple syrup cold smoked, it’s time to assemble our cocktail. Fill a serving glass with ice, add 2 ounces of your favorite bourbon, 2 ounces of 100%, unsweetened cranberry juice, ½ ounce of the smoked simple syrup, and a splash of fresh lemon juice. Stir until well combined. 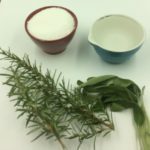 Add a fresh rosemary and sage sprig for garnish and serve. This is a cocktail you can adjust the ingredient levels to change the level of sweetness versus pungency. When dialed in correctly, the smoke and sweetness levels balance each other for a well-rounded cocktail to enjoy any time of year. Do you have a favorite smoked cocktail? Leave us a comment to let us know and subscribe to our channel to get all the tips, techniques, and recipes we bring your way. 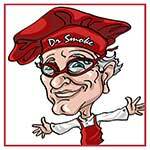 Always eager to share our expertise on all things wood fired, that’s SmokinLicious®!